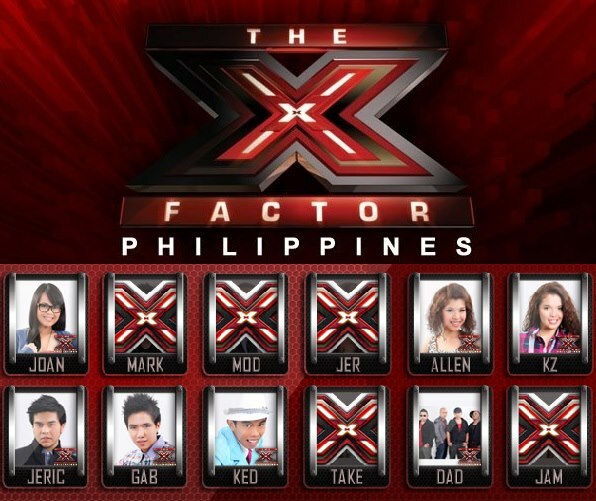 It’s the X Factor Philippines performance night on a Saturday night as usual. Despite seemingly endless work hours logged, I always make time to watch this show while still online on the sides and write my thoughts about it. The theme of tonight’s episode is the 80’s. Kicking of the show is Allen’s modern version of that The Police classic. I believe rap works for her which started with her week 4 performance of TLC’s Waterfalls. The other remaining contender on Charice’s girls category, KZ, as always created her own flavor out of the song assigned to her. I didn’t expect her to belt it out because she did say during her audition in Digos city that she’s in the competition to prove that the music industry is not only for those who can belt out or whistle a song. As for the boys of Martin Nievera’s category, Gabriel and Jeric are doing great with ballad or slow songs. Kedebon on the other hand continued his signature upbeat tracks which were popularized since the audition and boot camp episodes. Only Daddy’s Home remains from the groups category mentored by Gary V. since Take Off was voted off last week. They’re still good no matter what decade is selected for the song choice. Joan, also the only remaining act for the over 25 category under Ms. Pilita was last to perform. She won over Take Off in terms of votes last week in a deadlock. Tonight, she made Billie Jean her own by making a mark with her own unique version. But let’s see whose rendition didn’t become a hit among voters, viewers, fans, and haters when we come back again for the X Factor Philippines week 6 results tomorrow night.